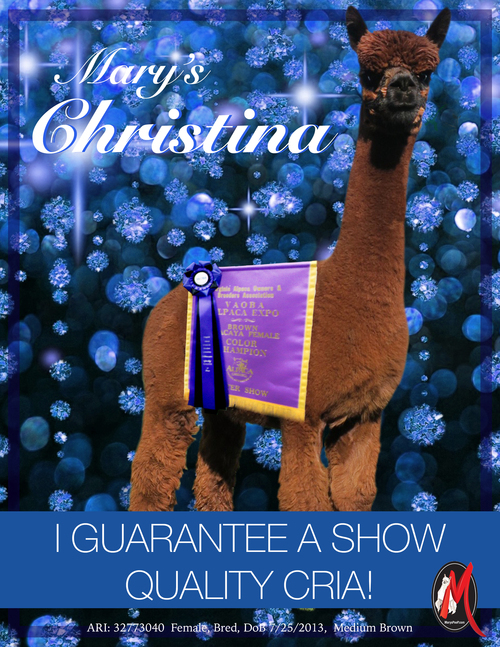 Grand Champion all over. 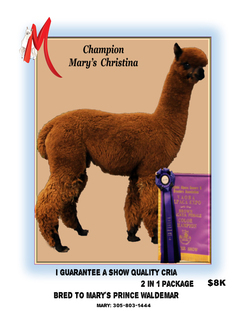 Both Christina and Waldemar have the most beautiful heads...finest fiber and good sound bodies. Can't wait to see their offspring. 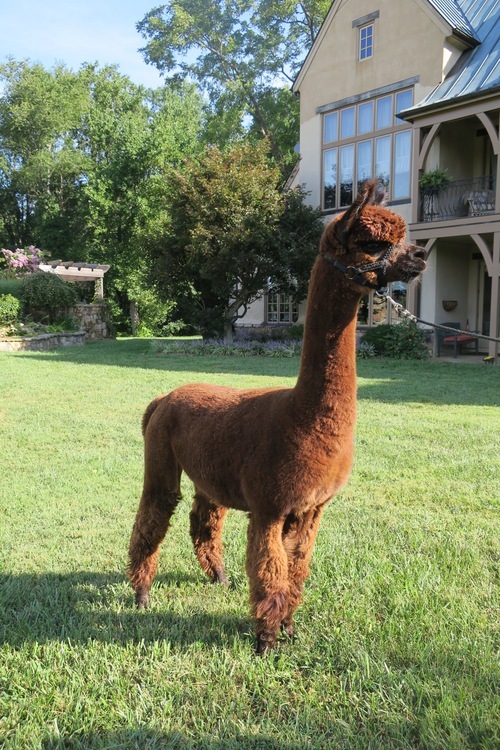 Super elegant and a great mom to the last Hudson cria. 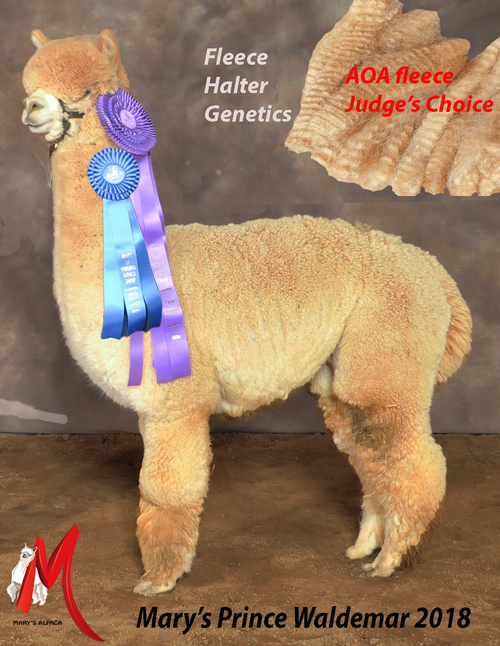 No birthing issues and a heavy milk producer, she's proven a quality producer of cria. 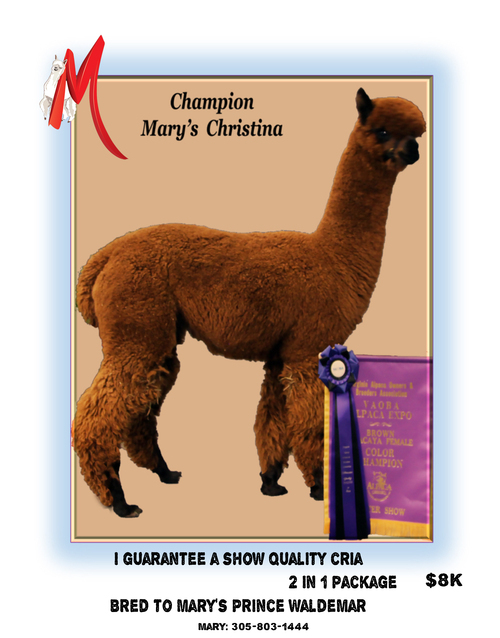 Christina is now bred to Mary's Prince Waldemar for a 2019 cria...I guarantee a show quality cria from this cross. 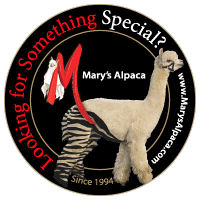 It's to your advantage to take note of the special alpacas that may be offered at bargain prices. 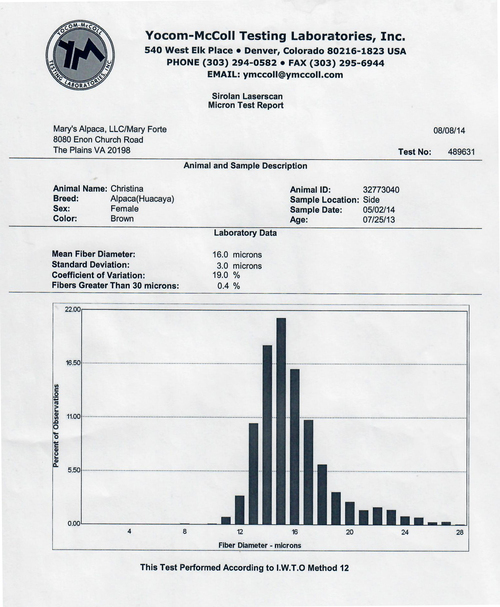 50% down. Balance upon departure from farm.